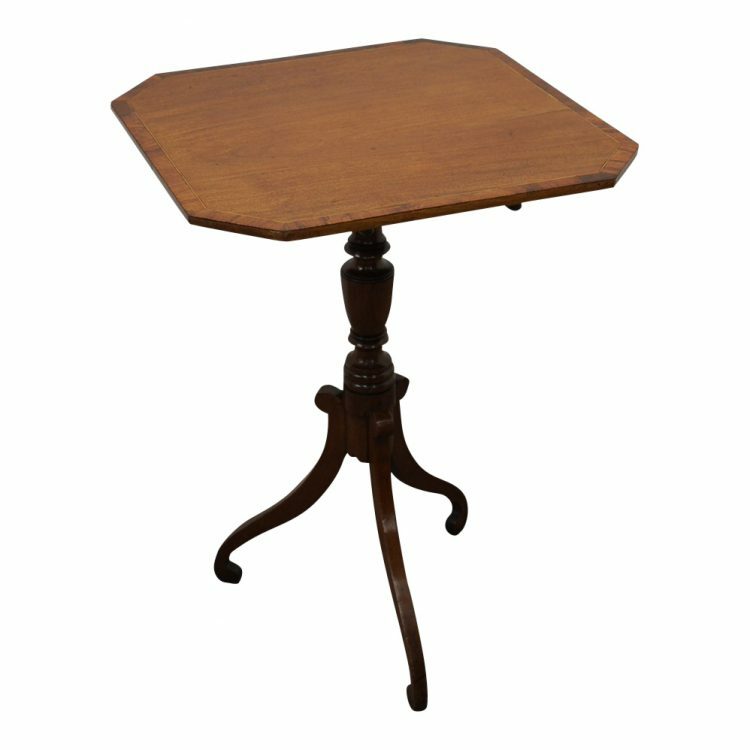 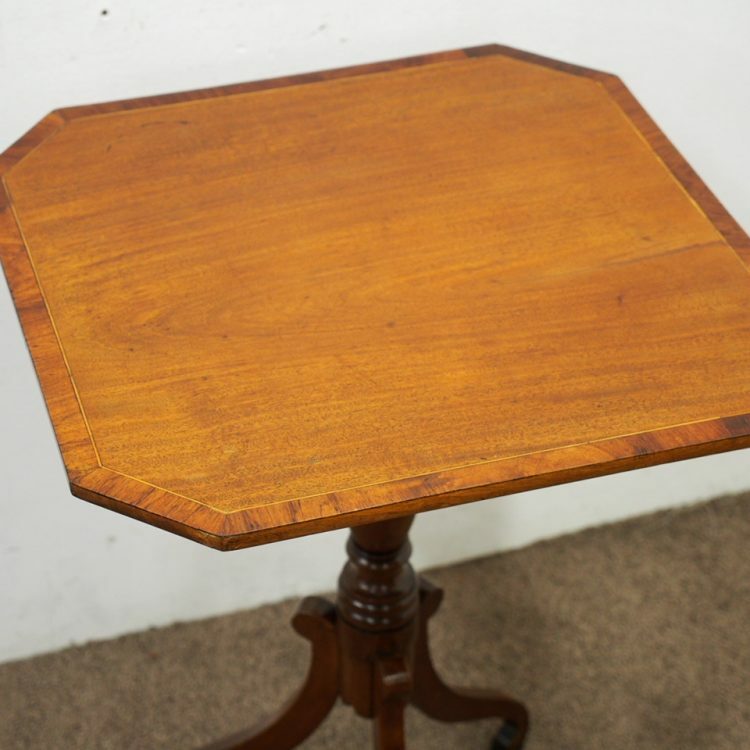 Circa 1790, George III inlaid snap top occasional table. 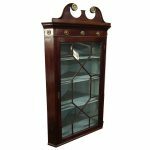 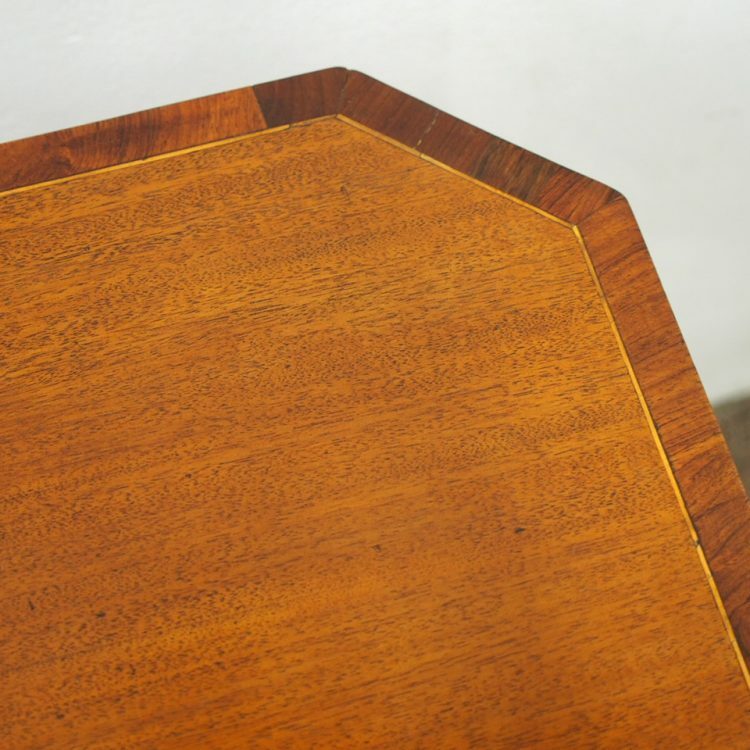 The inlaid and cross banded square top has canted corners and is on its original brass catches. 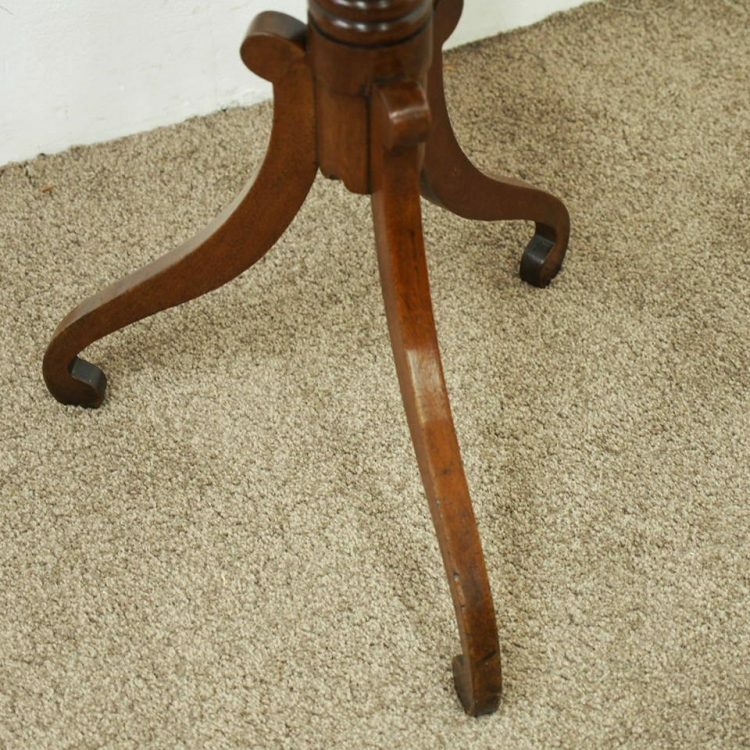 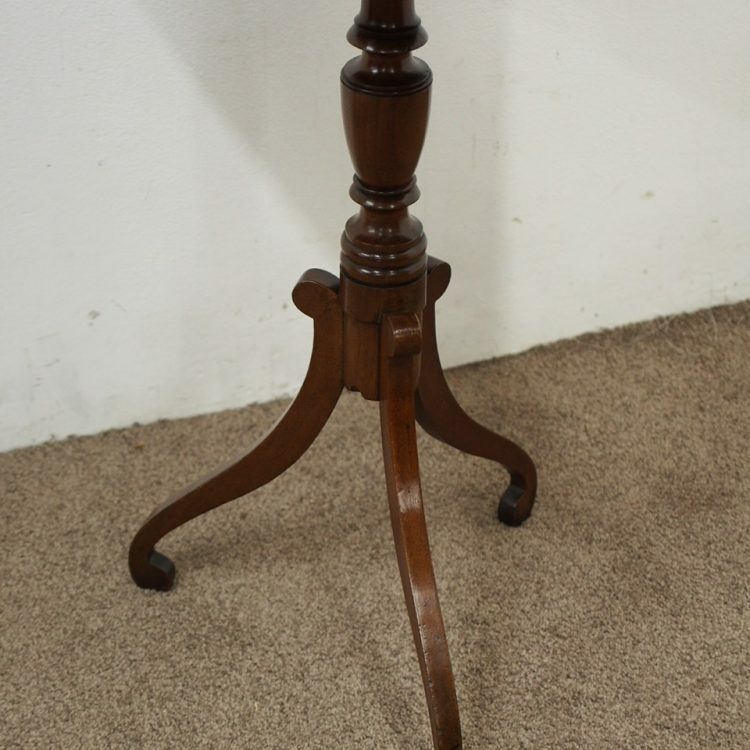 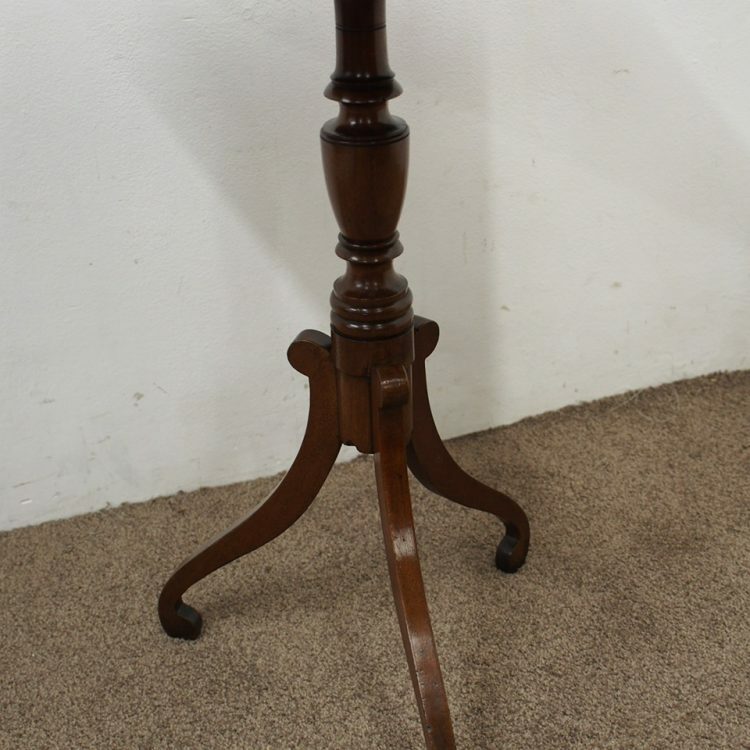 It leads on to a baluster turned stem, and stands on shaped tripod supports.